Browse fire-bricks suppliers by country and region. Refractory bricks,fire clay bricks, high alumina bricks, refractory material, Al2o3 % 70% bricks, fire creat super, refractory mortar,castable,insulation castable. All kinds of insulation bricks like hot and cold face insulation bricks, mica and diatomaceous earth insulation bricks, silica insulation bricks, light weight fire bricks, insulation mortar and insulation castable. Refractories, fire bricks, castables, monolitics, furnace materials. Short on time? Let fire-bricks sellers contact you. 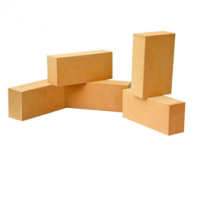 Fire bricks, upto 90% AL203 bricks, basic bricks, castable. BP set and fire brick. Refractories, castables, fire bricks, high alumina bricks, basic bricks. Refractory, fire bricks, acid resistant bricks, insulation bricks, castables, mortars, bottom pouring sets, bed material. Opc cement, insulating & fire bricks. Fire bricks, bottom pouring sets, laddle sleeves, laddle bricks, pouring cups, and all type of refractory for steel plants..
Refractory fire bricks and refractory chips, castables, mortors. Bottom pouring sets, high alumina bricks, cupola bricks, magnesia bricks, fire bricks, fire clay, graphite stopper, refractory products. Industrial fire bricks, refractories bricks, high alumina bricks, monolithics (mortar), monolithics (castable), bp sets, other industrial bricks.